Please explain how the best Insulin treatment is selected for a diabetic patient. 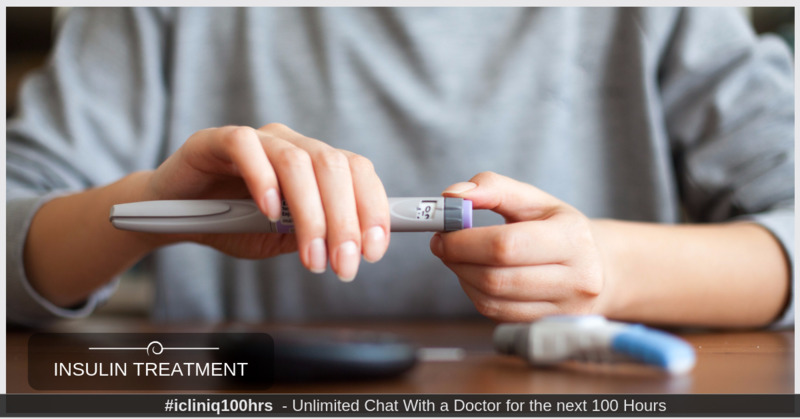 iCliniq › Ask a doctor online › Answers › Diabetology › Insulin › How is the best Insulin treatment selected for a diabetes patient? Q. How is the best Insulin treatment selected for a diabetes patient? I have few questions which I would like to ask a professional. As I am not able to find the answers by myself, I would love to hear from a practicing professional. How is the best Insulin treatment (syringe, pen, pump and pod) selected for a type 1 diabetes patient? Generally, how long the patients need to learn the injecting technique? Why does injecting Insulin into the same location cause a hard bump in that area? Is this reaction the reason ports are not used to deliver Insulin? How common is the use of the new inhaled Insulin? Does it have to be supplemented by another method of injection? When would an islet cell transplant be recommended? When would a patient be given an entire pancreas transplant operation rather than an islet cell transplant? In both situations, what keeps the beta cells from being tagged by autoantibodies and destroyed again? • What would be the reason for my irregular periods? • High sugar and creatinine levels. What might be the cause? Rather than the best way, we consider more convenient and economical ways for the patient. The best is always an Insulin pump, but it is costly and requires continued patient education. Injecting Insulin into the same site will cause damage to the fat tissue which results in necrosis (cell death). Because of the fat damage, hard bump forms. New inhalation Insulin is not yet come into usage in full fledges. Also, I have not put any of my patients yet on inhaled Insulin, so cannot comment. But yes, initially it has to be supplemented with subcutaneous Insulin as dosing and efficacy is not completely established for Inhaled Insulin. Islet cell transplant is recommended for patients of type 1 diabetes who are difficult to control on Insulin (by any method). If the transplant is considered for only diabetes purpose then only islet cell transplant is sufficient. The pancreas has other functions like digestion. If the digestion system gets impaired in a patient who is requiring islet cell transplant, in such a patient'sentire pancreas transplant would be helpful. Well, if no immunosuppressant is used post-transplant, these autoantibodies can destroy the newly transplanted pancreas also. Does Gum Disease Affect Your Overall Health?